In Impress Flooring, we treat every job as if it is our only one, we want you to love your floor. 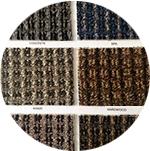 We are the expert in residential and commercial carpet flooring with over 15 years of experience in carpet installation, services the Toronto GTA area and surrounding cities (Markham, Richmond Hill, Vaughan, Etobicoke, Mississauga, Scarborough, Whitby, Ajax, Aurora and Newmarket). 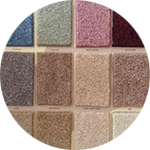 We carry many different colours and styles of berber carpet, plush carpet, commercial carpet, stairs and runners. We provide professional carpet installation to your home and office, we can also help you to remove and dispose the old carpet. There’s no need to go anywhere else, Impress Flooring is your one stop shop for all your carpet flooring needs. Call us today, we’ll give you professional advice as well as a free estimate quote! Check out the “About Us” section for a brief background of the company. Occasionally visit the “Special Offers” section for hot deals, or jump right into the carpet sections (hover your mouse over Carpets at the menu). From there you can see pictures of all the products and services, find out their prices, as well as learn a little about the materials listed. We have many satisfied customers in Toronto and the GTA. 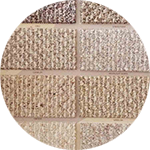 Contact us today for your carpet floor needs, we’re always happy to help. The most important goal we set for ourselves is to ensure you receive excellent service, great value and your experience with Impress Flooring leaves you smiling.